The tide will be with you shortly. 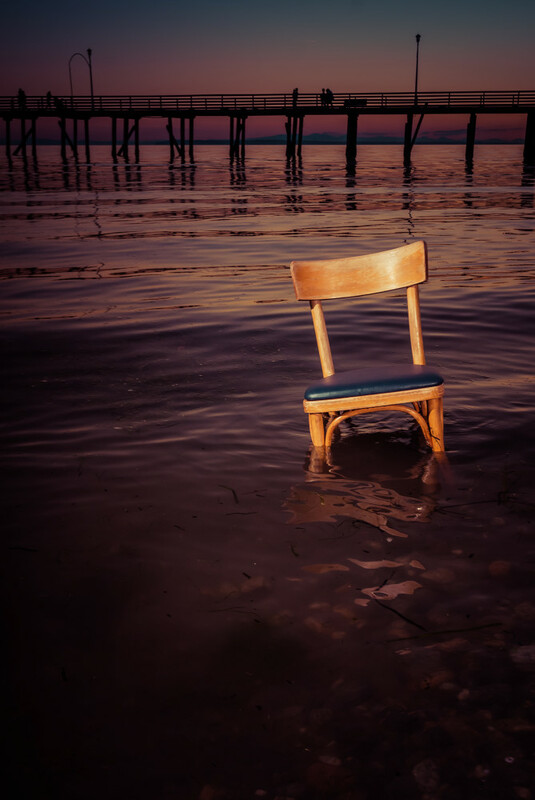 A chair rests crookedly in the waters of the beach of Whiterock BC, Canada with the famous pier in the background. The tide will be with you shortly.